When Lewis Hamilton announced that he was leaving McLaren to throw his lot in with perennial underachievers Mercedes for 2013, many recoiled almost like a car crash was about to unfold before their eyes. There indeed seemed many historical precedents of a talented driver committing career suicide, with a bad team selection heralding a downward slide they could never reverse, such as Emerson Fittipaldi joining his brother's Copersucar team from McLaren and Jacques Villeneuve leaving Williams for BAR. But the early evidence - as McLaren struggles and Mercedes performs ahead of expectations - is that Lewis might, just might, have played a blinder with his audacious move. And as well as bad moves F1 also has a few precedents of inspired team switches, which confounded the doom-laden expectations in place at the time they were made. I list five of the best ones below. Let's start with a slow burner. Leaving Colin Chapman's Lotus team as it stood before its triumphant 1960s decade sounds a little like F1's equivalent of the guy from Decca Records who turned down signing The Beatles. Yet that is what Graham Hill did. Hill got together with Chapman after a chance meeting, and recruited initially in a factory role Hill managed before long to blag his way into the driver's seat. And in 1958 driver and team together made their F1 debuts. But Chapman's cars were almost always known for being fast yet fragile; in the early days the latter was especially so as the cars would almost never last a race, and indeed the former was not always the case. Two years of meagre results led to frustration, and the clash of an exasperated Hill and a strong-willed Chapman (including Hill questioning Chapman's commitment to the job) was never going to end well. 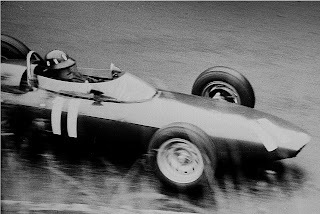 And thus Hill chose to join BRM for 1960. This raised many-an-eyebrow, as it was a team that had, despite periodic fanfare, persistently flattered to deceive. As Hill himself noted: 'I remember everyone saying "that's a mistake, you're joining a losing team"...it was being thoroughly trounced'. But as luck would have it the outstanding Tony Rudd was already there, and he and Hill well and truly clicked and thus began one of the sport's most iconic and effective driver-engineer partnerships. Results remained fallow for the first couple of years, but by the start of the 1962 year things had fallen into place (and at exactly the right moment as Sir Alfred Owen was threatening to cut off the team's life support). For one thing Rudd was given full executive authority for the team. For another BRM also managed to produce a V8 engine for the 1.5 litre formula that would match those of Ferrari and Coventry Climax. Having eclipsed the famous marques in the late 1950s, 1962 was the scene of the sport's second 'British invasion'. And none more so than by BRM, a formidable team with no obvious weak link: it had a car that was reliable and a driver who was quick as well as was usually running at the end. In so doing Hill won four races out of nine that year and he and his team took both titles. And they pipped none other than Chapman's Lotus, thus ensuring that Hill broke his championship duck before his former employer did. Every so often in F1 a gigantic stride forward is made, and the significance of the shift is lost on no one. 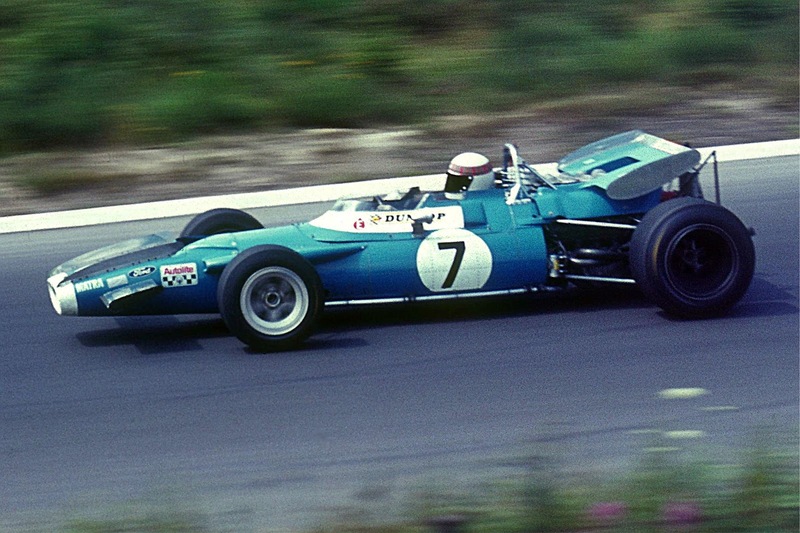 June 4 1967, the date of that year's Dutch Grand Prix, was one such day. Then the Ford Cosworth DFV debuted in the back of the Lotus 49s and immediately dominated despite minimal development time, Graham Hill claimed pole position by half a second and Jim Clark strolled to victory after Hill dropped out early. Formula 2 team boss Ken Tyrrell was one of those in attendance, and immediately formulated a plan to get the Cosworth engine and driver Jackie Stewart, whom he'd ran in F2, together in an F1 team of his own for the 1968 season. Tyrrell quickly got a promise from Ford that he'd be able to purchase a DFV for that season for the princely sum of £7,500 (apparently the car company thought that single car dominance would be bad for its image). Which left Stewart. On one hand, in Tyrrell's favour was that JYS was determined to leave BRM, enduring as he was a frustrating time with the recalcitrant H16 engine and a team in the doldrums. Against Tyrrell was that none other than Ferrari was interested in Stewart too. As Stewart himself noted later, the choice was 'between signing for the most prestigious and glamourous motor racing team in the world and joining a private entrant from Surrey with no F1 experience'. And for a long time it looked like Tyrrell was indeed to be disappointed, as Stewart visited Maranello, was seduced, and shook hands on a deal with Enzo Ferrari. But then the Commendatore couldn't resist playing a game or two, and went on to offer a drive to Jacky Ickx too, seemingly in an effort to get Stewart to reduce his financial demands. But the only outcome it achieved was the loss of Stewart forever, as he resolved that it wasn't in his interests to join an outfit that behaves in such a way and that he'd join Tyrrell instead, working for a man he trusted implicitly from their time together in F2 (the promise of a DFV helped too). 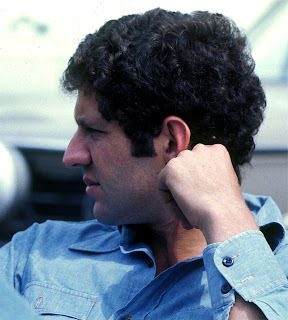 Jody Scheckter had been the future once. When he appeared on the F1 scene he was far from inconspicuous from the very outset. In a McLaren he ran as high as third during his F1 debut in Watkins Glen in 1972 and then in his next race, at home in South Africa in early 1973 again in a McLaren, he qualified on the front row. He featured in five races that year and firmly laid down a marker with his raw pace and willingness to mix it with the leaders, including his run in France wherein he led the likes of Ronnie Peterson and Emerson Fittipaldi for most of the way, seemingly absolutely unperturbed. OK, in this time he also wiped out most of the field at Silverstone, but no one doubted his prodigious speed and hunger. Most of F1's top teams offered him a drive for the following year though it was Ken Tyrrell, having been tipped off by Jackie Stewart that he intended to retire at the campaign's end, who succeeded in snapping Scheckter up for the 1974 season. Jody Scheckter in 1976 - thinking of the future? The plan was for Scheckter to be understudy to Francois Cevert, but Cevert's harrowing fatal crash in the final round of the 1973 season meant Jody was thrust into the team leader role ahead of time. The relationship started fairly well, Jody winning two races in 1974 and was still in outside title contention at the final round. Then it all stagnated, Scheckter winning but one race in each of the next two years, and many talked in terms of him being a busted flush. Some further reckoned that Uncle Ken's strict code of discipline had succeeded in dousing some of Scheckter's driving 'fire' too. Whatever the case Jody's relationship with the team had indeed become strained and by 1976 he had long since resolved to move. But few foresaw that he'd throw his lot in with Wolf for the following year. While Walter Wolf wasn't short of cash and had some strong individuals in-house such as designer Harvey Postlethwaite, his outfit hadn't scored a point in the previous year. There was a reshuffle in the off season, with Frank Williams (yes, him) moved to one side and the highly-rated Peter Warr brought in from Lotus to manage things. But still there seemed many more questions than answers. No one need have worried though, as for 1977 Postlethwaite produced a neat McLaren-like design and Scheckter with it won the opening round of the year. That owed a little to luck, but the combination continued to do good things together and he won two more rounds later in the year, it all adding up to second place in the drivers' championship to Lauda's Ferrari and ahead of stalwarts such as McLaren and Lotus. And the fledgling Wolf squad impressed almost everyone with its professionalism and organisation, which led Autocourse to attribute it the title of the team of the year. Indeed, had it not been for some mid-season fuel pressure problems Scheckter could have run Lauda much closer for the title. But it all saved Scheckter's reputation in the nick of time. As it was, 1978 was a struggle, but the rediscovered Scheckter then accepted an offer from long-time suitor Ferrari for 1979, where and when he achieved his ultimate ambition of a world drivers' championship. This wasn't a career move through choice, but one rather thrust upon him. But boy did Alain Prost's numbers come in on this one. Prost's F1 star rose initially at Renault, and with Regie a leader in the turbo game it looked for a long time poised to claim title honours, with Prost set to be the first ever French world champion in the same stroke. The year that it should have happened was 1983, wherein Prost's metronomic brilliance got him a clear lead in the table with four rounds left. But then Renault stuck as Brabham twisted on the technical front, and Prost and Renault were subsequently pipped for the championship. The fallout of this in what was in effect a French national team (Renault was state-owned at the time) and one that was fully prepared for a national triumph was not for the faint of heart. And a matter of days after the title had been lost Renault saw fit to sack Prost, ostensibly for comments after the final race wherein he laid the blame for the loss at the car rather than himself, which to be fair to him was what just about everyone else thought (this being F1 though, there have been other shall we say interesting reasons for his dismissal speculated). Ordinarily at this point of proceedings there would be nowhere for a suddenly-released driver to go, as all of the seats worth having would have been long since taped up. But Prost, rather like a cat, landed on his feet. John Watson at McLaren was doing his usual trick of waiting until the last possible moment to sign his deal for the following year, in order to extract as much money as he could, and when Prost was cast out on the street Ron Dennis didn't hang around. He signed Prost on a relative pittance (this being a buyer's market) and said to Watson something to the effect of 'sorry, we just can't afford you' (sadly, it transpired that this in effect ended the popular Wattie's F1 career). 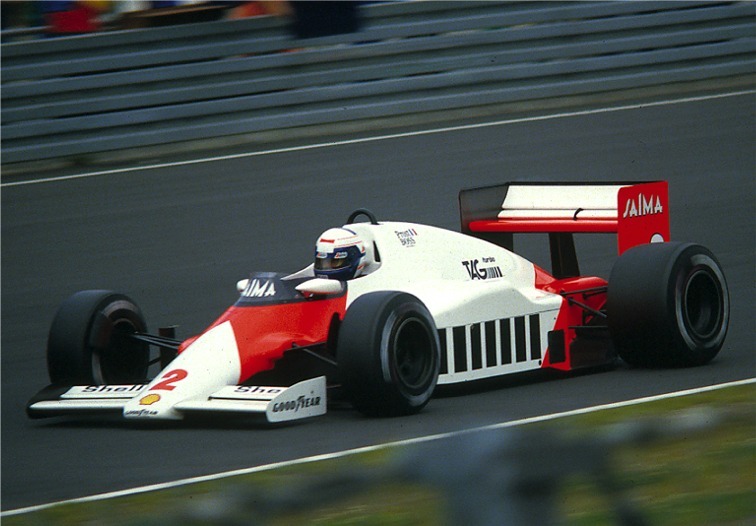 And it got even better for Prost, as McLaren was on the brink of producing one of the most devastating F1 cars ever seen. John Barnard's MP4/2 was a classic and the engine, built by Porsche to Barnard's strict specifications and funded with TAG cash, blitzed the field immediately particularly on fuel economy suddenly made vital by fuel restrictions. The team won 12 races out of 16 in 1984, with Prost winning seven and by common consensus being the driver of the year, though he missed out the title by a scant half point to team mate Niki Lauda after late season unreliability for Prost. But Prost took his and France's debut title finally the following year, and followed it up with two more and another near miss in the next four seasons. And as for Renault? It entered a downward cycle after Prost's dismissal, and left the sport altogether at the end of 1985 when head office decided overnight that it couldn't justify the expense of an F1 programme. Prost in all probability couldn't believe his luck. 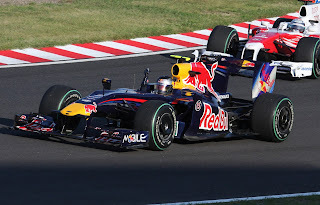 It's easy to forget this now, but there was a time that Red Bull in F1 wasn't all that. And there was even a brief period of time wherein making a switch from its 'B team' Toro Rosso to the 'A team' didn't appear that much of a step up. That year was 2008. Sebastian Vettel was then just the latest product of the Red Bull young drivers' programme and, having got his F1 chance in a Toro Rosso, quickly impressed as a guy clearly who was going to be good. And sure enough in mid-2008 his switch to the big Red Bull team was confirmed. But after this Seb moved onto a new level, with a run of points finishes, all the while looking confident and resolute when operating among F1's revered names, and of course he topped it all with a stunning pole and win in Monza's rain. All of a sudden the Red Bull move, to a team which had never won a race and even with Adrian Newey on its books had shown little sign of extracting itself from the midfield, looked spectacularly ill-timed. The conventional wisdom was that Seb should instead have held out for the likes of McLaren and Ferrari to come calling. But it transpired that a fundamental change in the technical regulations, which awaited for 2009, was all Newey needed to rekindle his former brilliance. The RB5 was a work of wonder, and immediately was among the front-runners, even though it was among those cars not to benefit in its initial design from the creative interpretation of the rules regarding 'double diffusers' (some have even suggested Newey was given a bum steer by the FIA on this). In other words, the Red Bull was first 'in class' by rather a long way, trouncing the likes of Ferrari and McLaren who fell off the pace disastrously for reasons never satisfactorily explained. And Seb slipped into the role of habitual winner seamlessly, taking four race victories in 2009 and a close second place in the drivers' table. And then, well you know what happened next. What about Schumacher's move from Benetton to Ferrari? I did consider including that. The main problem was that I had to restrict it to five! But beyond that what counted against it was that by the end of 1995 it was pretty clear that Ferrari under Jean Todt etc was on the way back to the front. After all, Ferrari in 1995 was very different to Ferrari in 1992/3. At that point though no one, probably not even Schumi or Todt, foresaw the huge amount of success they would have of course. In fact, you don’t have to listen to anyone else except for your own heart. Otherwise, later you may feel really disappointed for what you’ve done. Hopefully, this brief guide will help you on the way to defining the best sort of work, have a glimpse to read an interesting article.